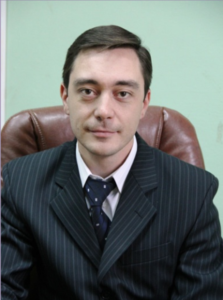 Head of the center is Plotnikov Andrey Olegovich, candidate of medical sciences, associate professor. Author of 130 scientific works, including 1 multi-authored monograph, 45 publications in Russian and foreign peer-reviewed journals, 1 study guide, 1 university textbook. Holder of 2 patents for invention of the Russian Federation and 1 certificate of registration of computer software. Research interests: microbiology, protistology, metagenomics, proteomics. Main trends of scientific activity: the mechanisms of symbiotic interactions between bacteria and protists in water ecosystems, biological diversity of protistan plankton and bacteria associated with protists, interactions in “helmint – host – symbiont microflora” symbiotic systems. Acanthocystis lyra sp. nov. Gerasimova et Plotnikov and Acanthocystis siemensmae sp. nov. Gerasimova et Plotnikov, two new species of centrohelid heliozoans have been isolated and described. The morphology of siliceous scales has been studied with scanning electron microscopy and the differences from existing species have been defined. For the first time biological diversity of prokaryotes in the brackish water bodies of the South Ural has been investigated with high throughput sequencing. The established quantitative and qualitative differences in the structure of prokaryote communities are defined by the mineralization level as well as the ion composition. Archaea of Euryarchaeota and Nanohaloarchaeota phyla, as well as bacteria of Bacteroidetes phylum, dominate in the waters with the salinity higher than 200 g/l, whereas in the less saline waters Proteobacteria phylum was dominant (Halomonas, Idiomarina, Marinobacter, Roseovarius genera). Many revealed microorganisms remain unidentified, and perhaps, belong to undiscovered species. 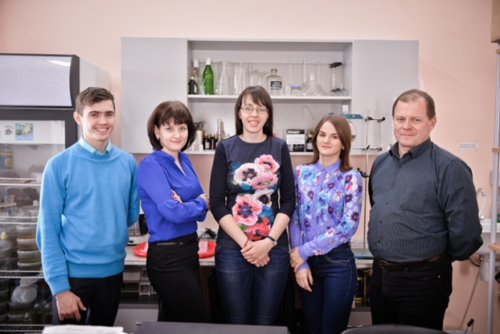 For the first time biological diversity of eukaryotes in the saline and brackish continental water bodies of Orenburg Oblast has been studied with high throughput sequencing. The decrease in the protistan biological diversity along the increased mineralization has been revealed. In the highly mineralized waters almost all taxa belong to Archaeplastida supergroup, whereas in the less mineralized waters representatives of Stramenopiles, Cryptophyta and Opisthokonta supergroups are predominant. The fact that only single protists were common for two or more water bodies, confirms the unique and exclusive composition of protistan community in each water body.